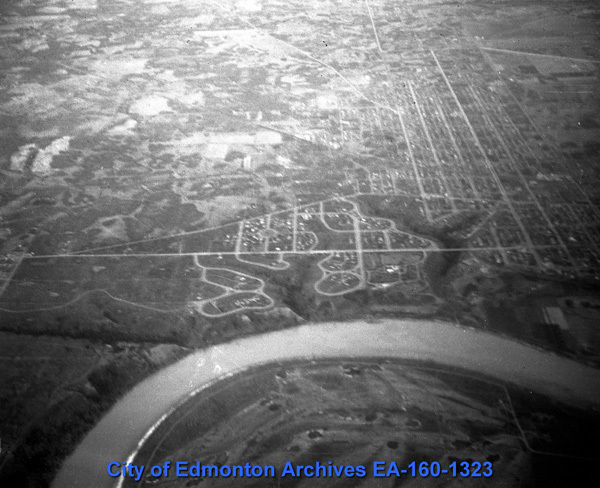 Around the same time the City was struggling to deal with the community at the Grierson Dump, another community had developed along 142 Street and approximately 300 yards north of Stony Plain Road. This group was different in several ways. It was composed mostly of families, including the elderly and many children. It was also predominantly Métis and First Nations people. The community first came to the attention of the City in 1937, although several of the families had been living there since 1935. Unlike the community at Grierson Dump, they were evicted shortly after the residents were investigated by the City, though how successfully was unclear. Also, unlike the Grierson Dump community, this situation was given no attention in the local newspapers, and no photos are known to exist. The only record is found in a few City reports and letters. Warning: Readers may find the contents of these reports disturbing, as it reflects the prevailing negative attitude of white society towards Aboriginal peoples. This report was written as part of the initial investigation of the community. It describes the community and its residents from the perspective of the police department. The difficult circumstances of the residents are not viewed sympathetically, and the tone of the report is quite negative. Shute concludes that the residents should be relocated to outside the city, and they should be the responsibility of the Provincial Government. This report was written as part of the initial investigation of the community. In it, Graham describes the living conditions in the area and lists the families and details their circumstances. In this survey, Graham counted 14 families – a total of 64 individuals (38 of whom were listed as children). Accompanied by a City building official and a police officer, Graham gave the families 2 weeks' notice to leave the area. He recommends in his report that the Federal Government take responsibility for the welfare of the residents. This letter was sent by the General Superintendent of Indian Agencies to Mayor Joe Clarke explaining that the people living at the community are outside the jurisdiction of the Federal Government, as they are Métis and non-treaty First Nations people. This report was submitted by Col. J. K. Cornwall, who visited the area with Mr. Drayton of the Relief Department. It seems he was requested personally by Mayor Joe Clarke to revisit the area. Compared to earlier reports, Cornwall's report seems quite progressive. He points out that "Most of these families have lived in that vicinity for a considerable time…", “the home-made shacks…are reasonably clean and tidy considering the conditions", and "they do not interfere with the neighbours". This survey counted 10 families and a total of 35 individuals (25 of whom were children), and shows that although the community had not disappeared, it was considerably smaller than only a few weeks before. Col. Cornwall was well suited to visit the community on 142 Street. 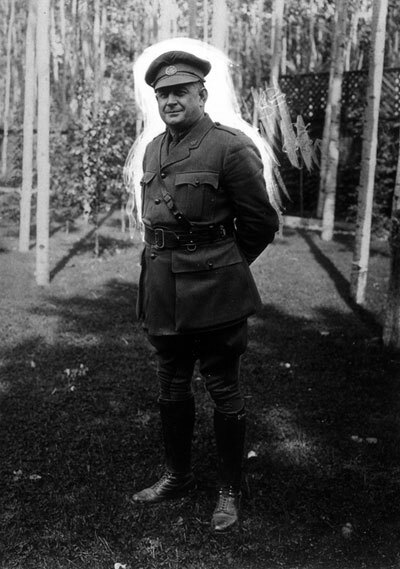 As a successful businessman, former MLA for Peace River (1909-1913), and a decorated military officer he carried considerable weight in mainstream white society. He also had great respect for Métis and First Nations peoples through his a long career as a fur trader and as an advocate of Aboriginal peoples in the north. Furthermore, he spoke several First Nations languages, including Cree, which may have made his interviews with residents easier. In 2010, 38% of Edmonton’s homeless population was Aboriginal. In 2010, there were 123 homeless children in Edmonton.